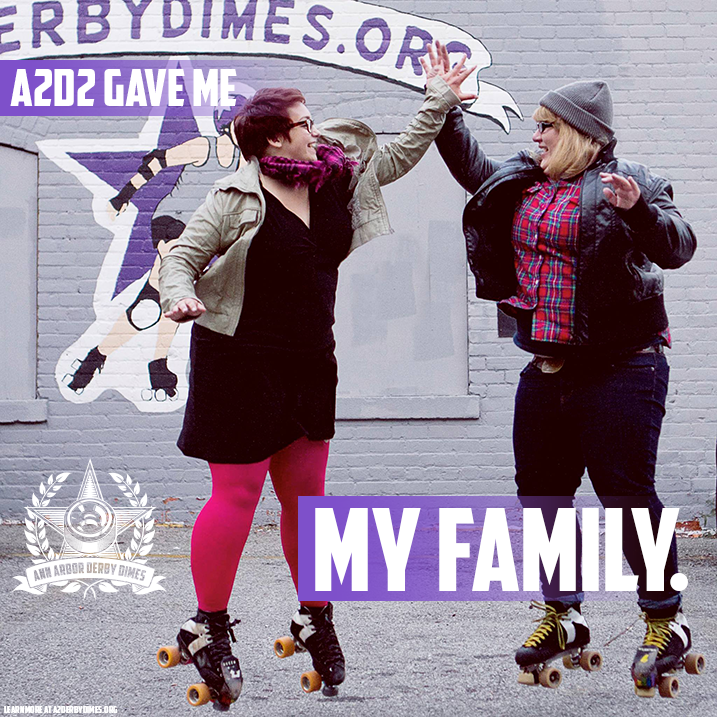 A2D2 is proud to welcome people of all walks of life and skill levels. 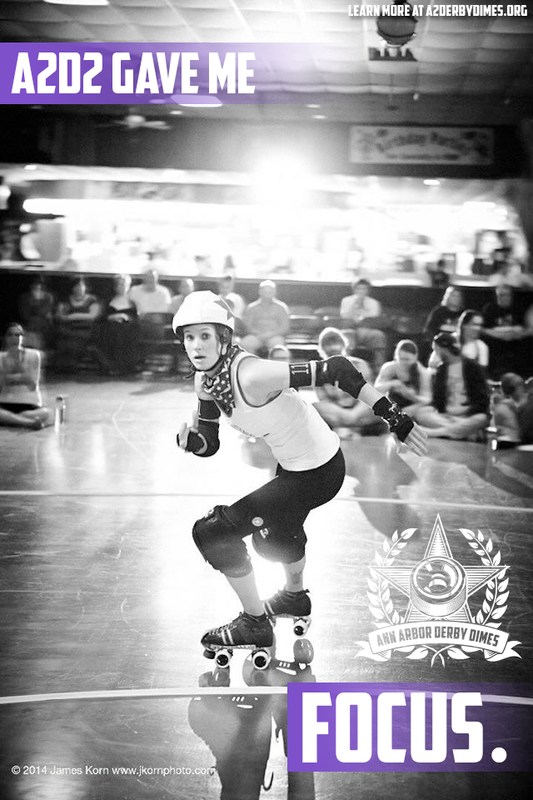 While many roller derby leagues require you to be a fully-trained skater and successfully complete a tryout before you're eligible to begin training with them, A2D2 teaches you the fundamentals of skating as part of our fresh meat bootcamp. And if you're a minor or want to get involved without skating, there are plenty of opportunities to participate as a non-skating official or volunteer. Want to know how A2D2 has impacted some of our members? Click on the photos below to enlarge them, then hover your mouse over the photo to read more.